Dota 2's Kiev Major qualifiers kick off a busy weekend for esports. The Intel Extreme Masters in Poland came to an exciting end last weekend, with CS:GO’s FaZe Clan stomping Astralis 3-1 in a nail-biting final. Meanwhile, Team Dignitas beat Fnatic during the Heroes of the Storm Western Clash and StarCraft II’s TY secured a victory against Stats. Currently, League of Legends’ LCS continues to dominate the headlines, but there’s plenty of action to be had elsewhere. There’s drama from CS:GO: StarLadder to the Rocket League: Championship Series. All the details on this weekend’s events can be found below. Misfits have continued to impress fans as they proved that they could even rival the best teams. In week six Misfits managed to take down Unicorns of Love after they closed out the series thanks to a crucial Baron fight. Meanwhile, H2k took on their old rivals Fnatic and both teams appeared to be evenly matched, but Fnatic started to crumble under the pressure. Game two also went in favour of H2K and they took the top spot in the group B bracket. G2 may have suffered a disappointing loss against Flash Wolves in IEM last week, but they beat back the opposition to claim the top spot in the group B bracket. It’s looking extremely close between G2 and Misfits and time will tell who will remain on top this weekend. This week’s schedule and stream can be found over on LoL Esports. Team Liquid entered week six with a shakeup to their roster to help steady their disappointing start to this year’s LCS. 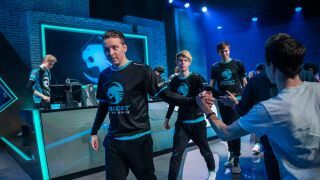 They faced Immortals and their new ADC Youngbin had trouble finding his feet on to the LCS stage, but Team Liquid eventually secured their third win of the season. However, Echo Fox managed to steal a win from Team Liquid, but Echo fell to Cloud9 after Akaadian got out-jungled by Contractz. Meanwhile, Team SoloMid was back to their dominant selves after they beat both their former rivals Counter Logic Gaming and Team Dignitas. The competition is heating up as we enter week seven of play and all teams will be looking to climb the competitive ladder. The full schedule and stream can be found over on LoL Esports. The best American and European teams will clash for their chance to secure a place in the LAN finals of the StarSeries, and with potential $300,000 at stake, only the top two teams from each bracket will secure tickets to the finals, held in Kiev, Ukraine. Matches will be played in a best-of-three single elimination, which will heighten the pressure and leave little room for error. OpTic Gaming and Eanix are kicking things off in America today at 17:30 PST / 02:30 CET, while the European games kick off Saturday with Team EnVyUs vs. BIG at 07:00 PST / 16:00 CET. The schedule and stream for both playoffs can be found here. Rocket League is back with season three of its famed championship series and eight teams from North America Europe will compete for the $300,000 prize pool. Season three will also include players from Oceania for the first time, so it will be interesting to see how they compete against their North American and European rivals. There’s also been a host of roster changes in the offseason and we expect this year’s RLCS to be more intense than ever. The North American open qualifier final is kicking off on Saturday at 12:00 PST/ 21:00 CET, while the final of the European open qualifier starts at 04:00 PST / 17:00 CET. Make sure you catch all the action over on the official Rocket League Twitch channel. The Kiev Major qualifiers have been taking place all around the world and the best teams will be fighting it out in the regional qualifiers today. In Europe, Elements Pro Gaming, Team Secret, Ninjas in Pyjamas, B)ears, ALTERNATE aTTaX, Cloud9 and Alliance will battle it out. Elements Pro Gaming and ALTERNATE aTTaX are kicking things off at today at 04:30 PST / 13:30 CET, but the action doesn’t stop there as various matches will be played throughout the day. In North America Team Freedom, NP, Onyx, Complexity Gaming, Wheel Whreck While Whistling will clash. NP and Onyx start their series today at 13:30 PST / 22:30 CET, while the South American branch begin their battles at 13:00 PST / 22:00 CET when the Mad Kings take on Midas. The South American bracket delivered a major surprise this year as neither Infamous nor Not Today managed to reach the top four of the first open qualifiers. Instead, the four South American squads advancing into the regional qualifiers are Union Gaming, Team Unknown, Mad Kings and the Argentinian squad Vultur Gaming. Meanwhile, over in the Chinese bracket Young Elite managed to win the open qualifiers, while EHOME missed their second major after they lost to Vici Gaming Team Max. China is kicking things off with a match between CDEC and Cavalry at 18:00 PST / 03:00. The competition is certainly looking fierce and the new meta changes from 7.02 will make this an event you won’t want to miss. The full schedule for all the regional qualifiers and links to each stream can be found here.